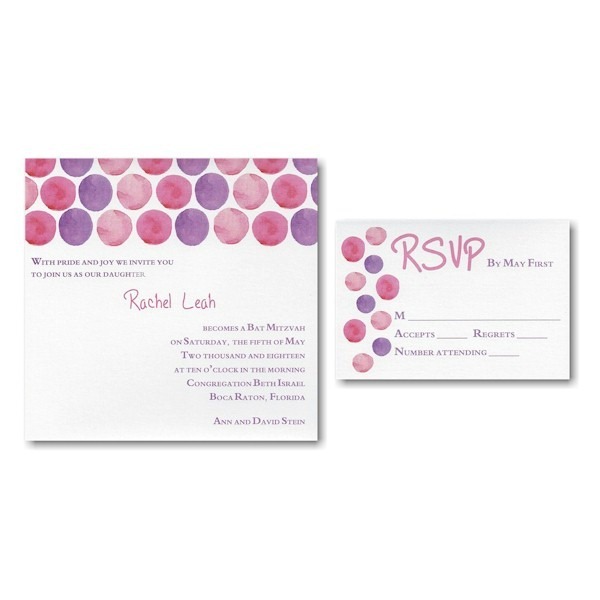 This contemporary Bat Mitzvah invitation is digitally printed on 110# White Gloss card stock and features colorful watercolor circles in shades of pink and purple. 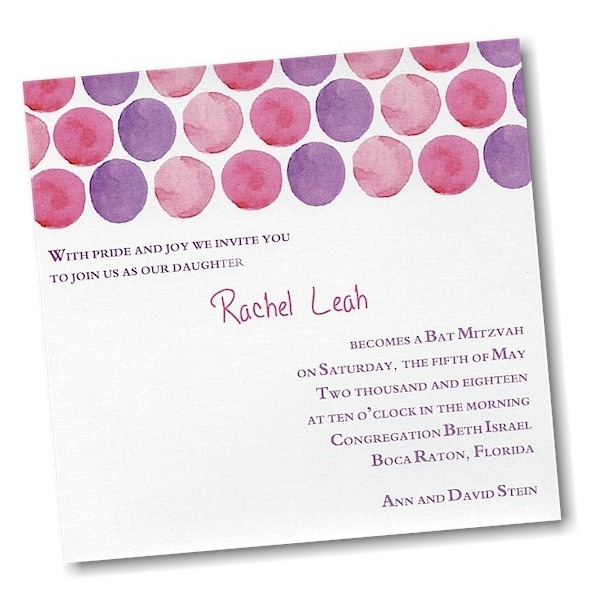 This contemporary Bat Mitzvah invitation is digitally printed on 110# White Gloss card stock and features colorful watercolor circles in shades of pink and purple. 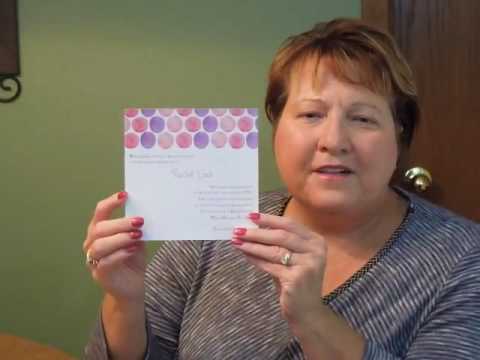 Your wording details will be positioned as shown or may be centered on the card. Measures 5.25″ square. Shown with lettering styles Traditional Arabic (body copy) and Meegles (name) with Soft Purple and Fuchsia inks. The coordinating Reception and Response enclosures will print on matching single card stock and the Thank You notes will print on white matte folder stock. 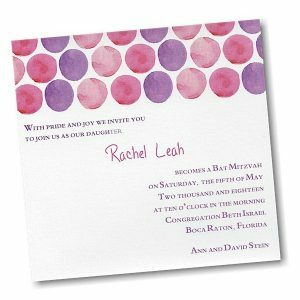 This Bat Mitzvah invitation is accompanied by single White Matte envelopes. Please note: Due to the square size of this invitation, additional postage is required. Please consult your local post office for details prior to mailing.